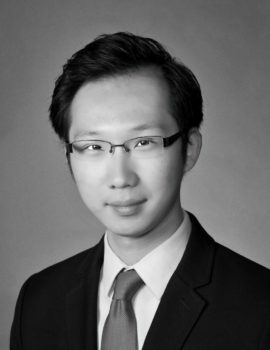 Victor Chen is passionate about working with clients to develop their unique positioning and maximize professional potential. Prior to joining Square One Prep last year, he ran his own admissions venture and guided twelve applicants, eleven of which got into top programs. Victor’s association with organizations such as the Posse Foundation, Consortium, Robert Toigo Foundation, and Reaching OUT MBA enables him to help clients transition from successful business school acceptance to exciting professional opportunities post-MBA. Outside of Square One Prep, Victor is an associate at McKinsey. His professional experiences span consulting and financial services. Previously, Victor was a consultant at AlixPartners, an investment banker at Bank of America Merrill Lynch, and a strategic planner at BlackRock. Victor also has investment management experiences at SBB Research Group as well as Northwestern’s Endowment. Victor received his MBA from Kellogg School of Management, where he was recognized as the Posse Foundation Leadership Scholar and the Most Ethical Negotiator. Victor received his BA in Economics from Colby College, where he serves on the alumni council. He is also a social venture guide at the Resolution Project. Born in China and raised in New York, Victor is cognizant of the value of a quality education and career resources. Having received full tuition scholarship to attend both Colby College and Kellogg School of Management, Victor developed his passion to unlock others’ potential in business education. Victor enjoys playing squash, skiing, and learning about behavioral economics. He loves to explore different cultures and has traveled to more than 20 countries.